Mina Bendary dreamed of becoming a professional footballer in Egypt, but found his Coptic Christian name was an insurmountable barrier in the Muslim-majority country. Such discrimination prompted him to hang up his boots and instead establish an academy to protect the rights of Christian footballers. He opened the "Je Suis" ("I am") academy nearly three years ago in Alexandria, Egypt's second city, where he now trains a group of players aged 15 to 27. At 22, Bendary declares he is "the youngest football coach in Egypt". Wearing blue shirts depicting a football with a crown and a cross, the footballers race around the small pitch under the scorching midday sun. The academy tries to offer solutions to Christians who "get rejected from teams they apply to as soon as they utter their names, regardless of their performance," Bendary says. "This happened in more than one club, which forced me to stop playing and to focus on solving the problem of Christians in football in Egypt." Bendary soon realized he was not alone in being asked to play under a Muslim name. His eyes sparkling, he points to a player dubbed Cristiano -- on account of the similarity of his looks and style to Portuguese superstar Cristiano Ronaldo. The 17-year-old midfielder, Mina Samir, explains his experience at a high-profile club. "After I was picked in the playoffs, my coach asked about my name, and I told him 'Mina' and he lost his enthusiasm telling me that they will be calling me." Egyptian professional clubs and the national team are currently void of Coptic players. Hany Ramzy is one Coptic player who did represent his country -- he was captain of the national side in the late 1990s before playing abroad. Former Egypt international and Tottenham Hotspur striker Ahmed Hossam, known as Mido, made a rare public statement in April about such prejudice. Egyptian football embraces "some people who have a lot of discrimination that they do not hide," he told Egypt's DMC channel. "How is it possible that in the history of Egyptian football for there to only have been five Christian players in the top level?" he asked, in comments that went viral. "There are Christian players who stop playing at a young age because of the discrimination of some of the coaches," said Mido. Copts make up around 10 percent of Egypt's population of 96 million and have long complained of discrimination in the workplace, education system and state institutions. The Egyptian Football Association denies such prejudice extends to the sport. "First thing we learn in the association (is that there is) no discrimination," says Magdy Abdelghany, who sits on the FA's board. 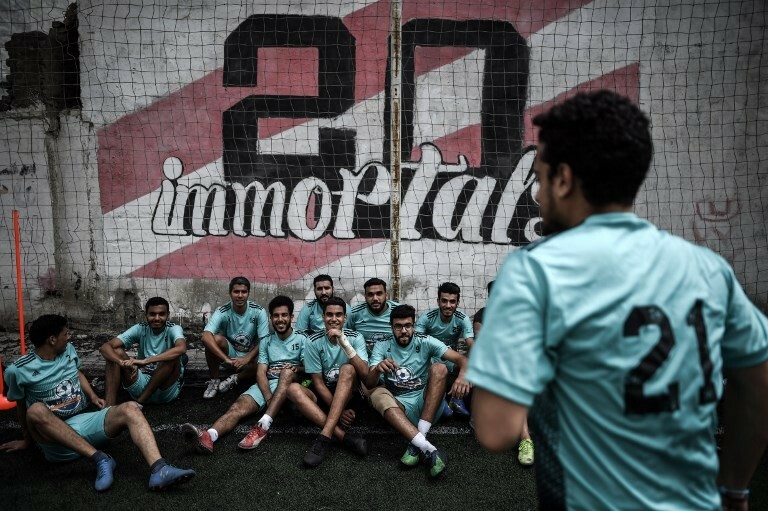 For the North Cairo Electricity youth team, including talented Christian players has led to on-pitch success in the Egyptian capital. With three Christians in its main line-up, the team won the city's youth tournament this year. But the club's coach, Mohamed Khalifa, says discriminatory practises nevertheless continue in Egypt. "But they do not come from religious differences, and instead from a lack of understanding or acceptance of the other," he says. Back on the pitch in Alexandria, 27-year-old Mina Shokry Ismail is dumbfounded at the discrimination he and his fellow players face. "Our house was the only Christian one and was very loved. First and foremost we are Egyptians," he says. "I do not understand, why this intolerance in football?"